Second Editions! New Book Coming! 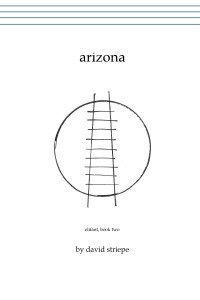 I’m excited to announce that second editions of miniature ships, arizona, and distant friends are now available in our store! Some pages may have a changed word here or there, some may have adjusted artwork, and some have whole new sections. This process began about a year ago while I was thinking about the next book (more on that further down) and re-reading miniature ships and arizona to see where to go next. In doing so I saw myself at a different point in my writing and from this side of the curtain saw ways to clarify the ideas I was trying to express. I went through each poem, polished a word here and there, tightened up and fixed a few beats, and adjusted the layouts of the pages to better reflect the relationships I felt the illustrations had with the words. 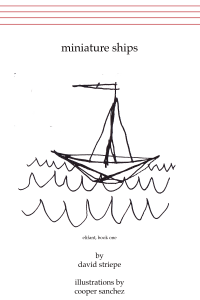 In miniature ships, for example, Cooper’s illustrations are hand-in-hand with the poems and in some cases the words take a backseat to the images. In arizona, though, the illustrations are accents. I also remade the cover for distant friends. Not a big reason other than that I didn’t like the old one. All three books will now be digital only; I’ve pulled the physical copies from their shelves. I may revisit physical copies later on, but I haven’t really ever been pleased with the print quality on the copies that have been produced thus far and I felt like it was doing everyone a disservice to make a subpar version available simply because that was “the thing to do”. Finally, they will be pay what you want. There’s a $0.99 minimum due to the restrictions of our store. 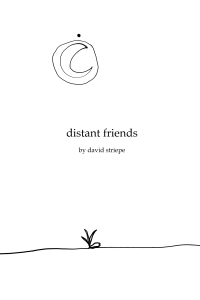 You can still read distant friends for free right over here. Now, that was a lot of words to spend on things I’ve already written. I’m also excited to say that I’m waist deep in the third book in the series of miniature ships and arizona, and that it will be ready in early 2015. 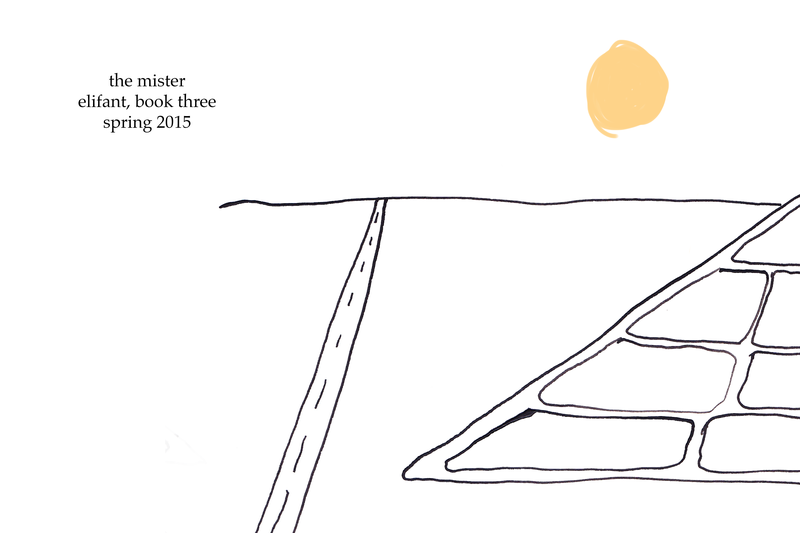 Called the mister, this book of poems focuses on a kid’s understanding of what growing up means, of those moments where you finally cross past that line of safe consequences and start to see the way things really are and the way things could be– and that they aren’t always good and they aren’t always bad. That sounds kind of heavy, but it’s still a pretty light-hearted book. I think. I’ve also named the series, as you’ll see in the second editions. It’s called elifant. There will be four books in all. Here’s an image from the mister. I’ll be posting more on my tumblr between now and the book’s release.